Students of photography are exposed to variety of photographers through slide shows or PowerPoint presentations so as to see examples of what is considered successful photography as guide for them to develop their own photographic sensibilities, whether it be content, the use of the camera or technical considerations. The work is projected onto the screen while the instructor points out particular attributes of the photograph. And then the image is gone. In considering photography books and exhibitions, there is the tremendous opportunity to spend as much time as necessary to contemplate photographs for their sense of visual engagement and photographic meaning. With the photography book, the viewer has the pleasure of time to go through each of the pages and absorb not only each individual photograph on the page, but also its structure which reveals a visual and conceptual relationship of the images – an extended statement of a unified idea that is thematically linked or created through narrative form or some other type of structure. The photography book is accessible and intimate as it is a one-to-one relationship between the viewer and the photographer that is created each time a photography book is looked at similar to the sensation experienced each time we look through our albums of family photographs. There’s that sense of something familiar, and yet something wonderful discovered with each viewing. The photography exhibition also suggests this sense of visual and conceptual engagement with a photographer’s work, but in a different manner. A physical space is activated by the presence and scale of photographs on the wall. Within the gallery setting, the viewer experiences the completed vision of the photographer’s intentions and efforts – the finished photographic image. The photograph is considered in relationship to its physicality, whether it be large or small, a print or backlit transparency. Because it is viewed in a public space within the context of strangers, there is not the same sensation of intimacy as with the photo book. Description of the work in terms of content/subject matter (number and type genre of photographs), aesthetic considerations (type of medium, materials and processes used) and presentation considerations (structure, sequence and scale). Interpretation of the work in terms of what the work may be about and what the intentions of the artist/photographer are as suggested and revealed by how the work has been created, structured and presented. Evaluation of the work in terms of assessing the visual engagement and clarity of the photographer’s intentions and ideas in relationship to how the work has been created, structured and presented. Depending on your class, write a critical review of either a photography book or photography exhibition. It is necessary to include a description, interpretation and evaluation of the book or exhibition being reviewed. During the course of the semester, a total of three (3) critical reviews are required to be completed. For those that will be writing about photography books, the San Diego Library (Main branch downtown) and the Art & Architecture Library in the UCSD Geisel Library Building have an extensive selection of photography books. Online, the 5B4 | Photography and Books blog is an excellent resource for how you may want approach writing about photography books. 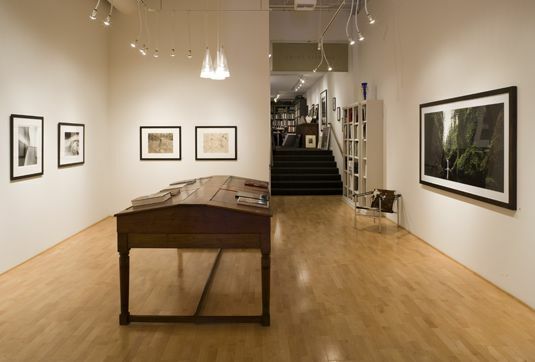 For those writing about photography exhibitions, the Museum of Photographic Arts and Joseph Bellows Gallery are the main venues to view photography on a regular basis in San Diego. There are a number of museums and photography galleries in Los Angeles as well, including the Getty Center, Stephen Cohen Gallery, Fahey/Klein Gallery, and galleries at Bergamot Station in Santa Monica (Rose Gallery and Gallery Luisotti). An excellent resource for finding photography exhibitions throughout the United States is Photograph, an online photography guide and magazine. Write a critical review (minimum 2 – 3 paragraphs) to be completed by the due dates on course calendar. The review can be submitted in the Comments section below or typed-up and turned-in.